Olney Karate Club takes boys and girls from the age of 8 and takes them through the different belts, or levels. It is used as a means of defence, discipline and to help fitness. 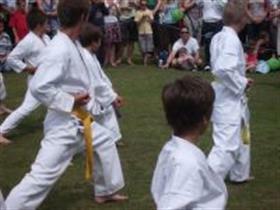 The Olney Karate Club is run by John and Haydn van Weenen and the secretary is Mr Matt Breeds.